Bodegas Borsao elaborates this 2018 Bodegas Borsao Borsao Seleccion Rosado ($101.99), a rosé wine from Campo De Borja from the 2018 vintage and has an alcohol content of 13.5%. Uvinum users rate this rosé wine with 4 out of 5 points. - View: Red LED, warm shine. - Nose: intense aromas of bright red fruit, raspberries and strawberries. 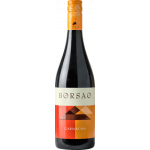 - Mouth: Ripe red fruit characters and cherry, balanced acidity and an attractive finish of red fruits. 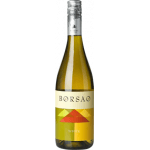 VINEYARD: Terroir: clay-limestone soils, stony and loamy. PREPARATION: criomaceration for 6-12 hours and subsequent bleeding. Fermentation in stainless steel at a controlled temperature between 14 and 18ºC. PAIRING: salads, cold meats, grilled salmon. Intense aromas of bright red fruits, raspberries and strawberries. 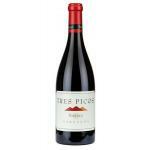 The palate has ripe red berry and cherry fruit characters, balancing acidity, and an appealing red fruit finish. 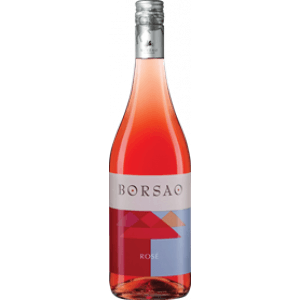 If you want to buy 2018 Bodegas Borsao Borsao Seleccion Rosado, at Uvinum you will find the best prices for Campo De Borja rosé wine. Buy it at Uvinum at the best price, comfortable and 100% secure. We offer over 59.000 products on sale which turns us into the leading marketplace in selling wine, beer, and spirits in Europe with a community of more than 38.000 customers who enjoy Uvinum.